Meaning that there are bowed string traditions in the world that predate the Western traditions by a few centuries. The irony being that after the Cairo Congress in 1932 (as well as the subsequent follow ups) the formal re-introduction of Western bowed strings have resulted in the replacement of many of the native instruments with European violins, violas, cellos and basses. He started on the violin as there were no kamancheh masters where he lived but after hearing Ostad [Ali-Asghar] Bahari (on the television) he bought his own kamancheh as started learning on his own until he could find teachers to teach him. As Kalhor explains, he was a master and played kamancheh all his life and never switched to violin–he “held on”–essentially becoming the link between the old tradition and rising generations of younger kamancheh players (this has also happened with the Swedish Nyckelharpa). The video below is Ostad Ali-Asghar Bahari on kamancheh and Jamshid Shemirani on zarb. What’s most remarkable about a majority of the world’s bowed string instruments is the fact that nearly all are played upright, like the cello. It is only in the European countries that a vertical rather than horizontal arrangement evolved. Also, while the range of most of these world fiddles fits either into the violin or viola registers, the tuning is more often than not closer to the viola or cello. Even though the morin huur does not own a long history, its direct predecessor Chuurqin has a long history. In Tang dynasty (600s~800s), when the ethnic Mongols were still a branch of Shiwei people, there appeared to be records of huqin. In Northern Song dynasty, when the Mongols are forming, horse-tail huqin (馬尾胡琴) appears. 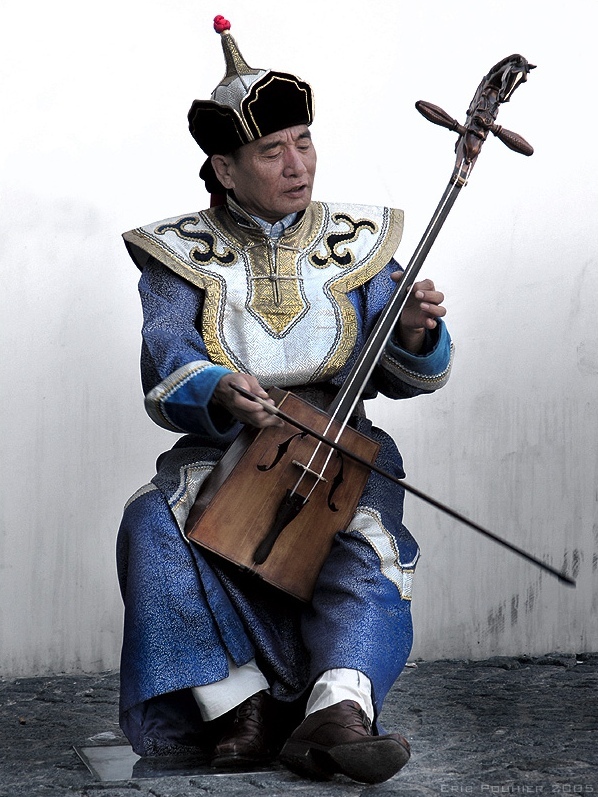 Since then, the chuur fiddle has been separated from general huqin till now. Which could possibly place the origin of bowed strings even further back (and further North) but who really knows in the end? Obviously, I would like to know. And while this is one of my pet research projects, I’ve been so overwhelmed by the wealth of bowed stringed instruments the past few years, that I’ve hardly had an opportunity to collect my thoughts about a possible history of them and their evolution. I hope to start doing that here at my blog.